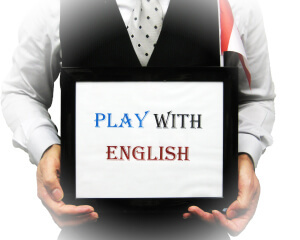 'Play with English' is a daily half-hour opportunity for ESL students to practice their speaking and experience the lighter side of the English Language while learning more about North America's sometimes complicated culture. This program showcases how the skills that students currently have can be developed for use in everyday life to broaden practical communication in various environments and social situations, how they can be interpreted into North American thinking, and how they may be interpreted by North Americans. Students will practice skills such as joking, acting, dating, improvising, arguing, cooking, how-to descriptions, wordplay, cooperative game play, song creation, and cultural humour. Through these activities, students will become more confident in expressing their own unique personalities and sense of humour, and come to better understand the North American personality, identity and sense of humour.